Our luffa slices fit perfectly into this snowflake mold. The round size fits perfectly into your hand to soap or scrub. 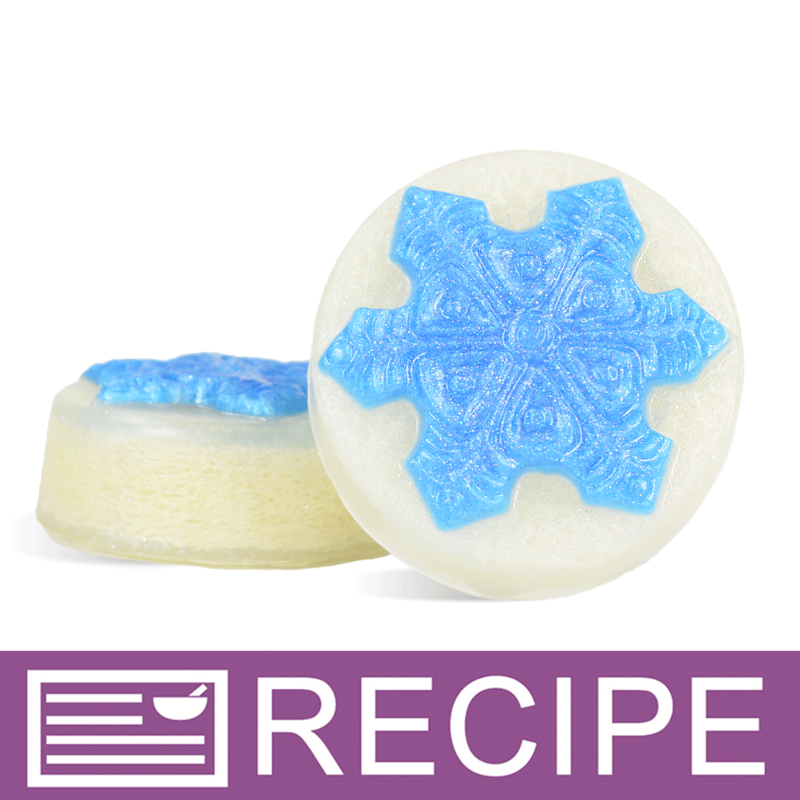 Icy notes of eucalyptus and spearmint will refresh and remind you of a crisp winter day! You Save $33.50 by purchasing this kit rather than buying the items separately. Sorbitol, Propylene Glycol, Sodium Laureth Sulfate, Stearic Acid, Lauric Acid, Water, Sodium Hydroxide, Glycerin, Fragrance, Titanium Dioxide, Ultramarine Blue, Synthetic Fluorphlogopite, Titanium Oxide, Polyethylene Terephthalate, Acrylates Copolymer. Lather onto wet skin and rinse with warm water. Keep out of eyes.